England is incredible with the amount of diversity in people, adventures, food, and cocktails you find in unlikely places. We have done so much and been so many places!! I have so many stories to tell from exploring alleys to sheep herding at a B&B to hanging out at pubs with our sons! 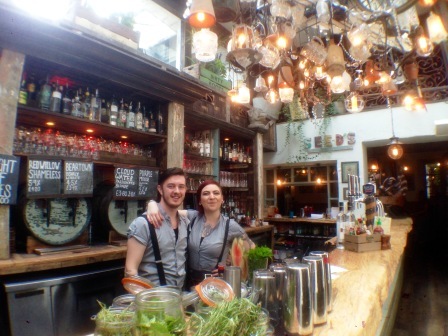 Right now we stopped for a quick nibble and tippies at this awesome place in Chester, England called The Botanist. Love it!